I recently professed my love (again) for Zürich and before that, for one of my favorite regions in France, Alsace (by the German border). There’s yet another region in France that holds a spot near and dear to my heart, and that’s the Pays Basque (on the very opposite end of the country by the Spanish border). 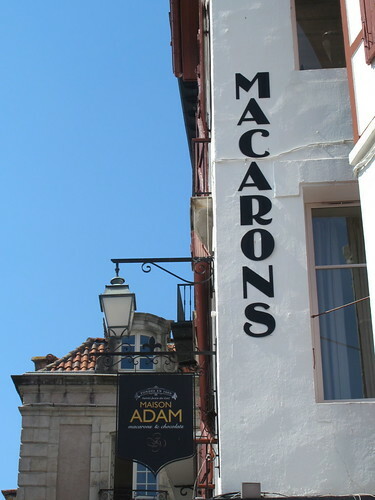 While living in Clermont-Ferrand (in the Auvergne) from 2001 to 2002, I spent a week in the French Basque country and was beyond charmed by a culture, cuisine, landscape and language (Euskara) all its own. Ten years later, I finally returned with my husband and parents, overjoyed to share it all with them. I returned to the villages I have been thinking about all these years, and brought my taste memories back to life. 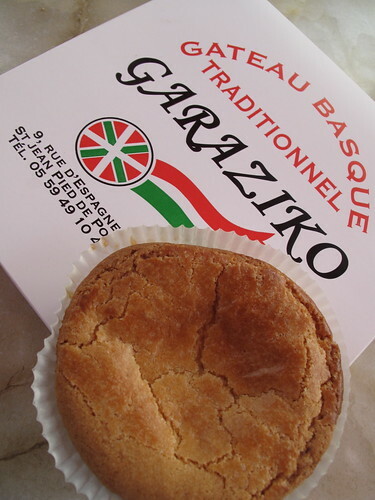 How could an article on sweets in the Basque country begin anywhere other than with Gâteau Basque, the region’s signature cake ! 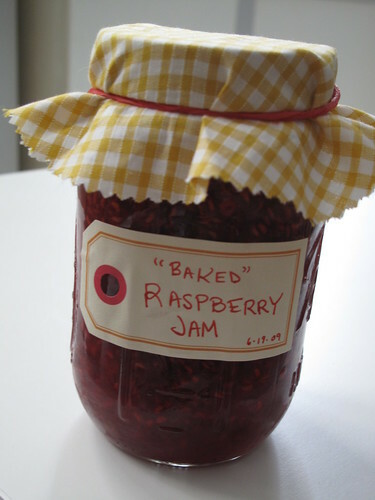 I tasted too many varieties to count and heard too many different stories on what is the “authentic” recipe to know what’s actually true. This buttery cake seems to have begun life with a pastry cream filling, and later on was filled with Itxassou’s famous black cherries; and you’ll now see versions with apricot or even chocolate too. It was unanimous in my family – the classic cake with (not too sweet) pastry cream filling was the winner. Some had too much lemon zest, others too much cream or too soft a crust… it’s rather fun to taste them all day long on your travels and compare, no boulangerie or pâtisserie will be without their own version. 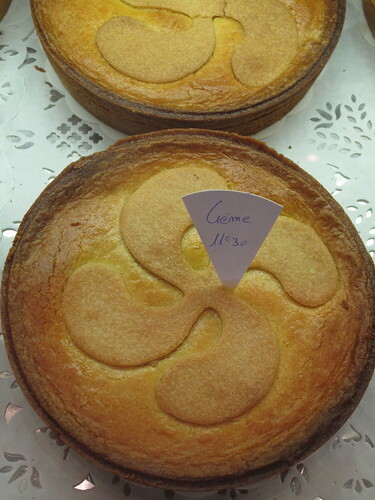 If you can’t decide which to get, then Maison Inda in Ascain (Azkaine in Basque) has the perfect solution for you: “crème et cérise,” both cream and cherry in one (below, bottom left). 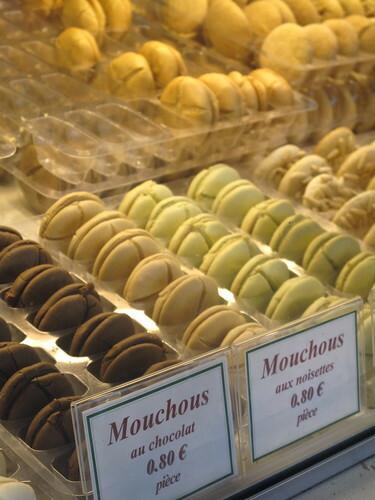 Forget what you know about Parisian style macarons (Ladurée, Pierre Herme, etc.). No sandwiched cookies, and no filling here either. Just a small, light, extra chewy macaron purportedly the “original,” created in 1660 by the first of the Adam pastry chefs. 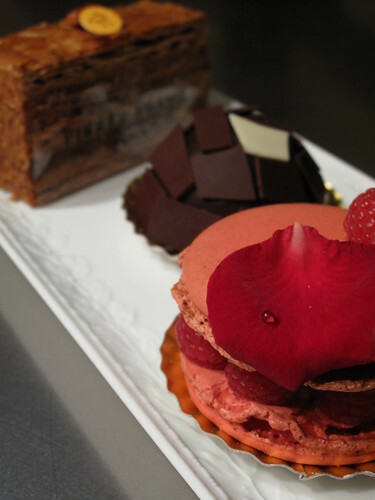 The recipe has not changed since then, so you’ll be tasting the macaron just as Louis XIV did. 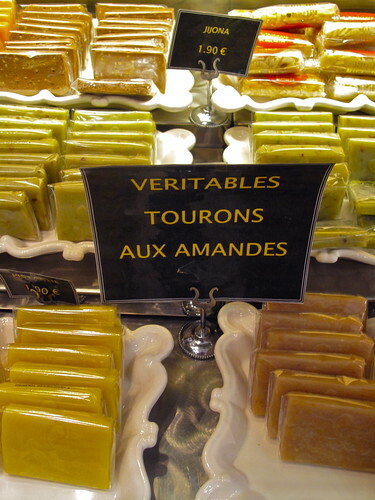 Confectioners in the French Basque country have taken a liking for Spanish touron, pâte d’amande (almond paste) in different flavors that shows up in a rainbow of colors most often as flat bars or small rounds. I loved the look of Pariès’ bar with the Basque flag on it (below, top left) and Maison Adam’s mini rounds in individual paper cups (below, top right). 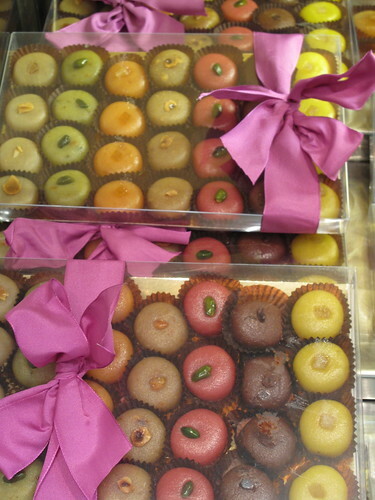 Famous chocolatier Henriet in Biarritz also had colorful almond based confections called “Harlequins,” pâte de fruit (fruit jellies) sandwiched by pâte d’amande (below, bottom right). 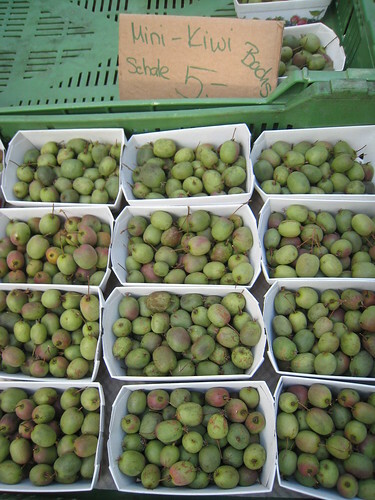 If you like almond paste or marzipan, this region is for you ! 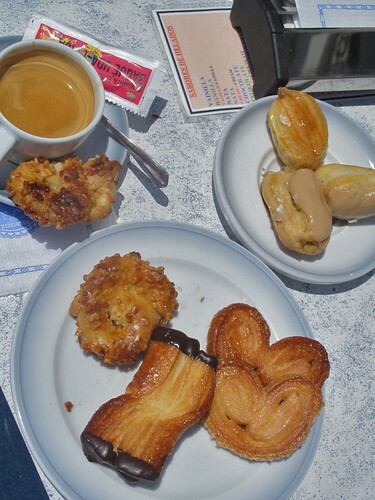 While discussing the different varieties of Gâteau Basque with the baker at La Tartelette d’Espelette, I could hear my father busy as a bee behind me. He was hard at work, selecting the most colorful and attractive lollipops he could get his hands on ! Beautiful, hand-crafted lollipops with natural ingredients come in 40 different flavors like pear, coconut pineapple, cactus and banana kiwi. 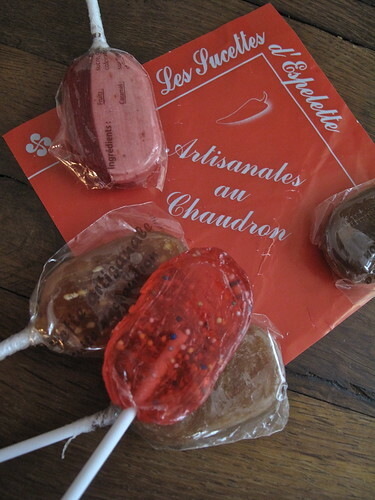 We all joined in the fun and selected a few; for me it was salted butter caramel with sesame, coffee, raspberry, chocolate nougat and last but certainly not least, cherry & piment d’Espelette, the town’s famous pepper that adorns all the building facades. After an hour or two of pintxos-hopping in San Sebastián (tapas tapas tapas), we needed a break. A sweet break. And we found it on a very sunny terrace at Oiartzun. 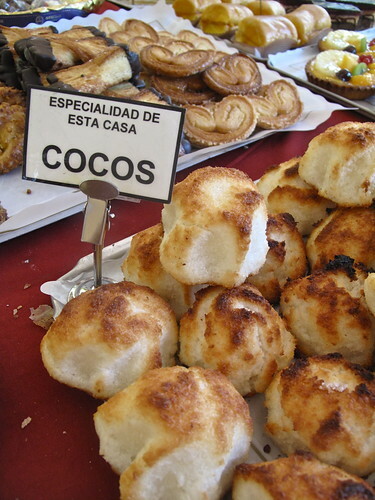 Cocos, big coconut macaroons, were one of the many house specialties, but their small, super crisp palmeritas (palmiers or elephant ears) stole the spotlight. 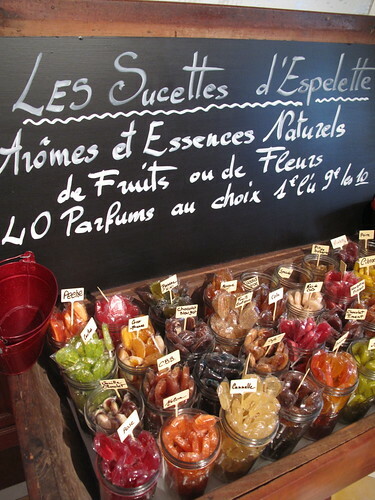 Having discovered Pariès’ sublime caramels and chocolates at Paris’ Salon du Chocolat years ago (they were on my 2009 annual “Salon du Chocolat Not to Miss List“), it was truly a thrill to be at their shop in the Basque country (like my recent pilgrimage to Alsace for kugelhopf). 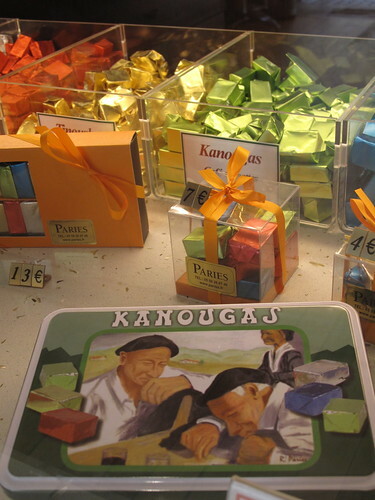 While their Mouchous (softer than macarons, made with more almond paste and less sugar) are fantastic and come in fun boxes (mouchou means “kiss” in Basque), it’s their Kanougas that steal my heart, chewy, extra buttery caramels first created in 1905. 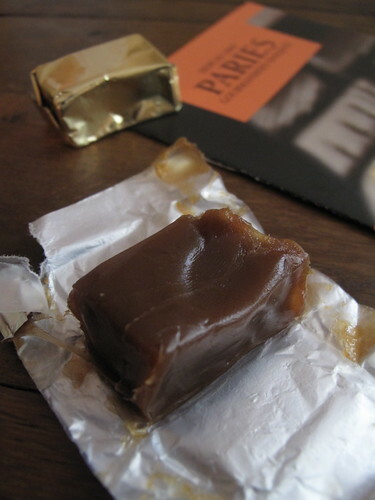 I always go for the gold wrapper, “Tinousky,” a coffee flavored caramel that’s simply divine. Ok, I clearly need to plan that trip back to the Basque country sooner than I thought. 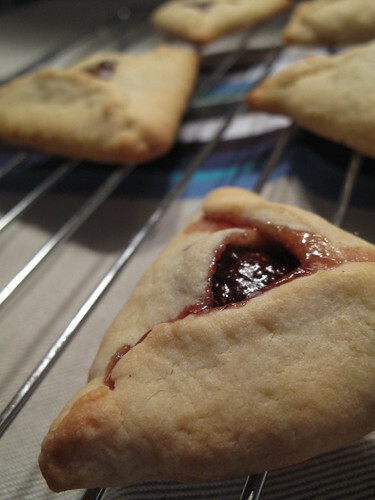 What other sweets would you add to the list ? Et bien dis-donc! This appears to be a particularly provocative article for my senses of taste and smell. After reading your prose and looking at these pictures, I just don’t know what to do with myself. 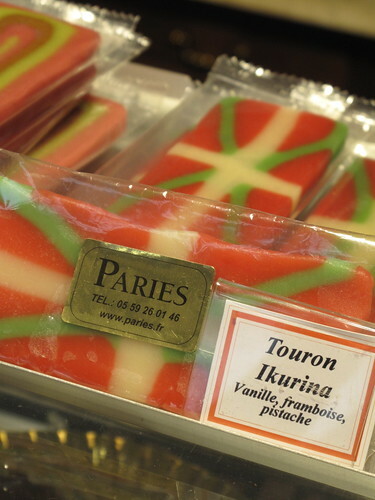 I have nothing equivalent at home that could calm my desire for basque type of sweets. Please help! You know I love a list as much as you, but I think you cheated with #5! 😉 Pastries is quite a large category don’t you think, and really could be another 10, 20 or 30 items, no? 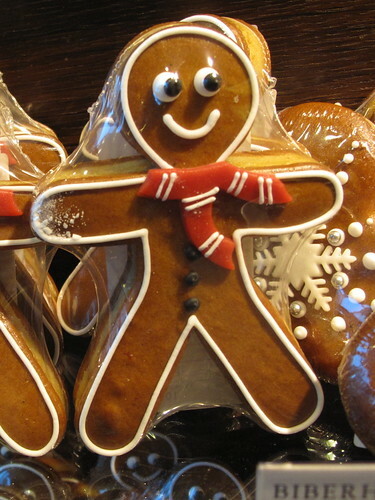 But I’ll let you get away with it, because, as always, you are sharing a great list of sweet delights that are traditional and special to an area. I always learn so much! I hope your parents were able to take a stash of these treats home with them? I just stopped in Payard’s downtown waiting for my husband to get out of work. 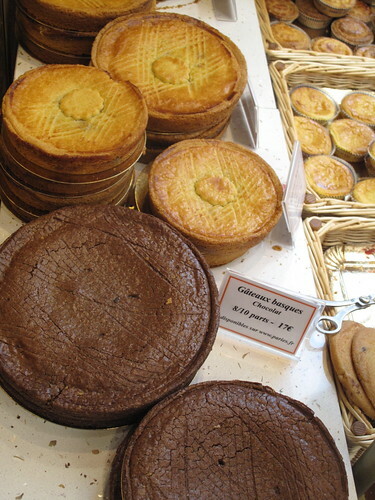 Then I spotted a Gateau Basque in the pastry window, which I’d never heard of, but was intrigued by. 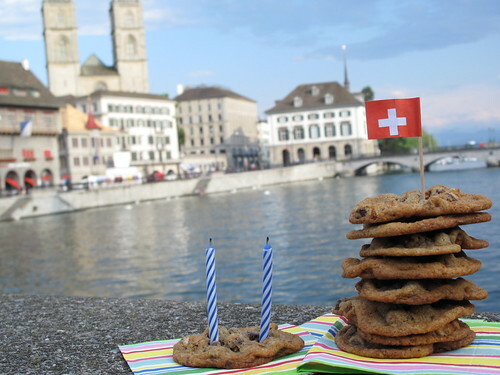 Alas, they only had a whole cake. So I sat down to look at my twitter feed and saw your posting on your experience with Gateau Basque and I promptly decided that I should see if they had it by the slice. All I can say is YUM! I love serendipitous foodie moments!!! Yeye, taste and smell for sure, but don’t forget the pleasure for the eyes as well ! 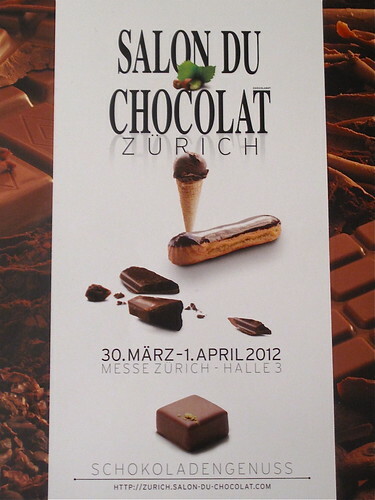 I don’t have any of these sweets in Zürich either – looks like we both just need to go to the source ! Danielle, I love it ! What a fun story. 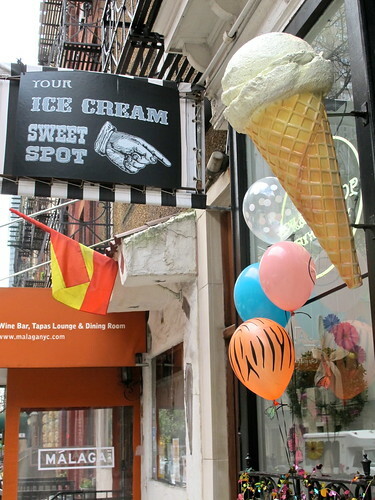 Foodie moments that are serendipitous – and especially extra sweet – are the very best kind. 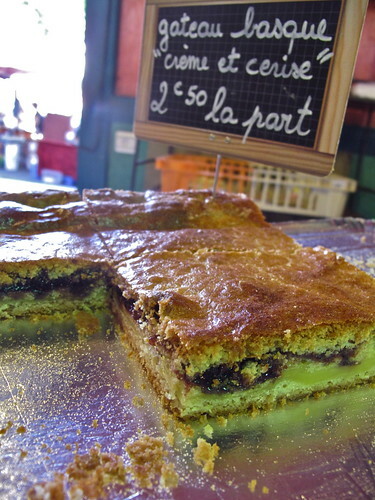 Was Payard’s Gâteau Basque made with pastry cream or a cherry filling ? Either way, I bet it was delicious ! 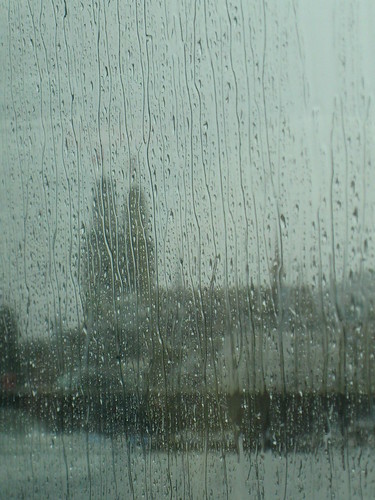 Make me long to go back to Basque country! Kerrin, I SO love your pictures! Anywhere can look like paradise when shown through your pics! Do you teach photography by any chance? I would love to sign up for a course if you do!! 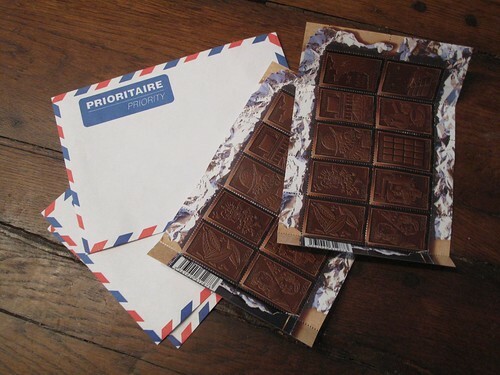 J’ai moi aussi un excellent souvenir des délices du Pays Basque… difficile de choisir dans tout ça… tu m’as donné la nostalgie de cette région que j’adore, tant du côté français que du côté espagnol… Bonne balade! such a wonderful post! it definitely reminds me about so many things i love about pays basque. 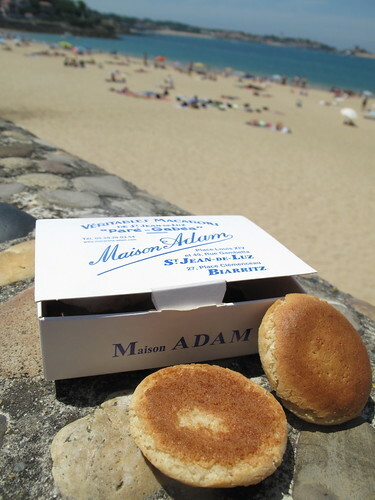 when i visit my parents in st. jean de luz we inevitably pick up a box of maison adam’s macarons. sooo delightful. 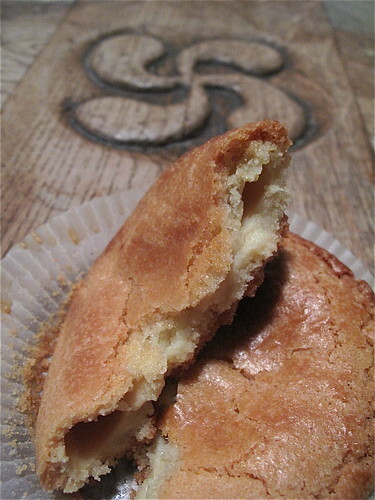 have you come across any good recipes for gateau basque? we had a super delicious one at Txantxangorri in Hondarribia (called pastel vasco as we were in spain). here’s a link to our post about all the wonderful food we encountered in Hondarribia — definitely worth the quick trip from Hendaye on the navette! 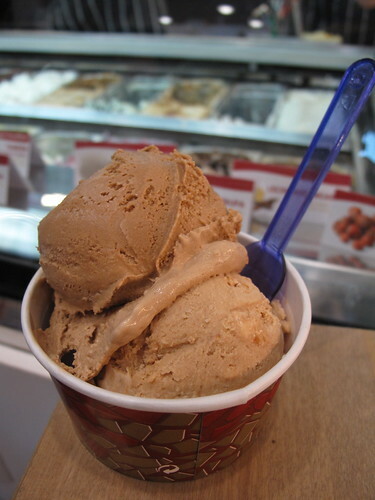 Payard’s was made with Pastry cream that somehow tasted like my Christmas Cookie Dough! Yum yum! wow everything looks amazing. 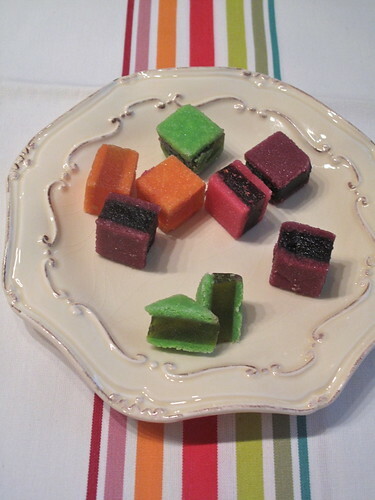 great photos and the sweets make me want to jump on a plane. what a special trip to share with mr., mamma and papa kugelhopf! on my recent trip to basque country, i hoped to make it across the border to france, but two weeks flew by and i we hardly scratched the surface of the spanish side. clearly more than a month is needed for a foray into Euskadi. thanks for this great post and i can’t wait to follow its advice soon! //www.npr.org/2009/12/24/121461544/gateau-basque-a-perfect-cake-for-the-holidays#121461697 — recipe by Dorie Greenspan who calls it “a grown-up pop-tart” ! Danielle, yum yum is right ! Thanks for letting us know. Katie, grazie ! We had just one week, and went back and forth a bit to French and Spanish sides, but as you said, I could easily spend a month there. More ! What a beautiful and appetizing post. It made me so hungry and yearning for some food travel. Kerrin, how fabulous is this post. Everything is new to me so loads of notes taking. 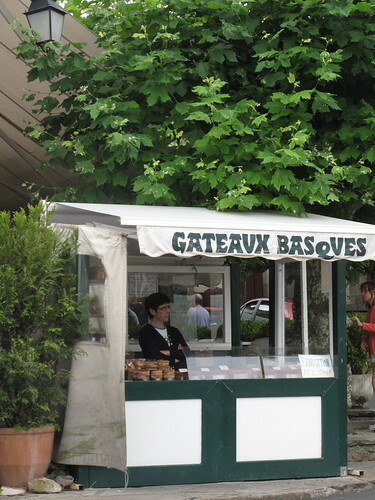 I,vê always been meaning to go to Pays Basque for the food. Had no ideal that it had such wide range of local sweet. Now, your knowledge of them fascinated me. 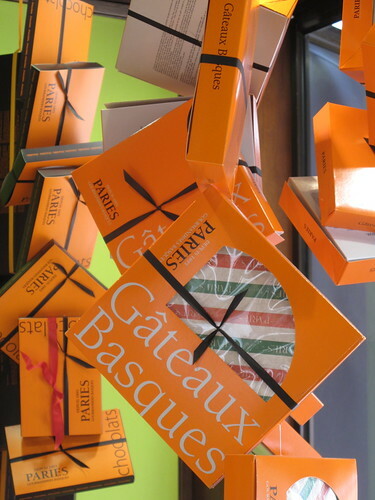 I.m particularly interested in the gâteau basque. With the cherries. 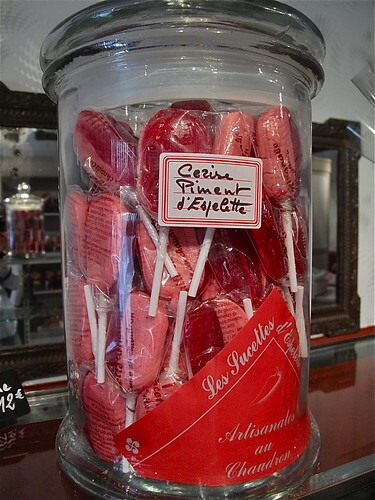 These lollipops are so gorgeous looking.if anything i’d buy a few just by the looks. So superficial. 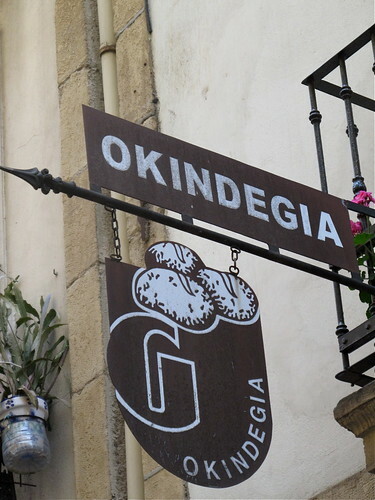 I know…unfortunately I can’t add to this list, but this post has made me add a lot of new things to my basque country must see – and eat list. Valentina, I always love adding to your lists. 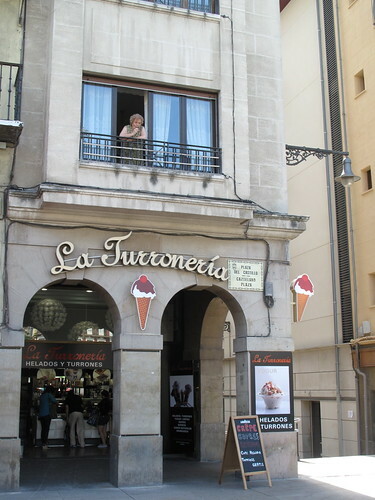 And I do hope you are able to visit the Basque Country one day, so much to discover – both savory and sweet. You’ll love it, and then we can compare notes ! mel, you’re very welcome. 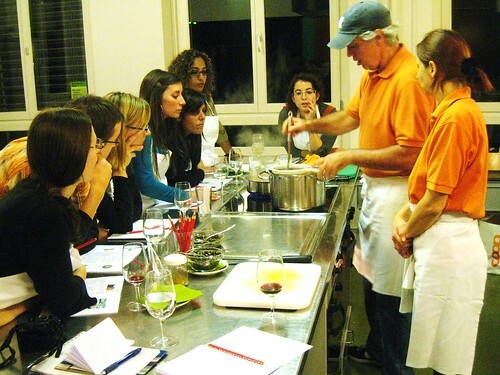 Let me know what recipe you try and how it turns out… Bon appétit ! 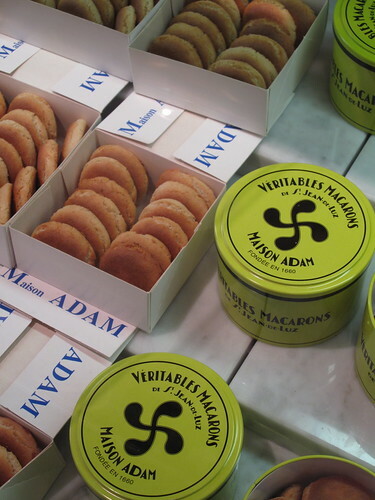 I love the X’ed mouchous, the véritables macarons tins, and especially the harlequins, which I’d like to sink my teeth into. Gnaw gnaw gnaw. Err, sounds more like I’m chewing on the tins than on a pâte de fruit. Gorgeous write-up! I am Basque (Spanish, the spicy ones) and am dying to spend time in the Basque country; both French and Spanish. This post makes me dream about it even more. Not sure where I would start on this sweet journey, they all sound delicious! Love this entry. 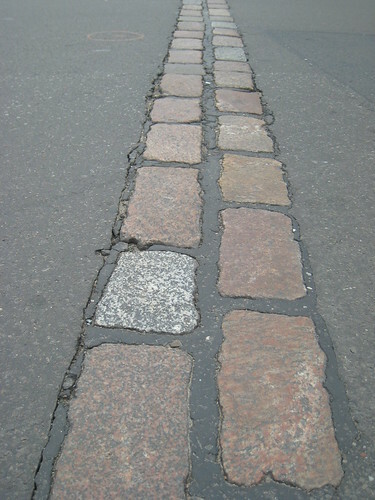 Suddenly feel the need to visit this part of Europe. 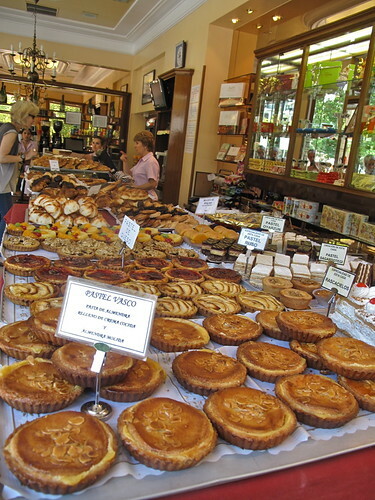 The mecca of pastry in Basque Country is Pasteles Beatriz in Pamplona. Not to be missed. The hot mini chocolate napolitanas out of the oven, bizcocho de nueces (black walnut cake)….the best. Sharing this post with our followers! Yum. marti, oooh I am so sad I was in Pamplona and missed Beatriz !! I want to grab those palmeritas off your screen. 🙂 But the day we were there, just about everything was closed. Otherwise, I would have gotten in line with everyone else, I’m sure. Thanks so much for sharing your link ! basque stage, thank you so much ! So glad to discover both of your Basque websites now ! great apetizing pics as usual! Funny you should post this now since JP just added the Pays Basque to the list of possible move-to and live-in regions. And now you have me begging him! 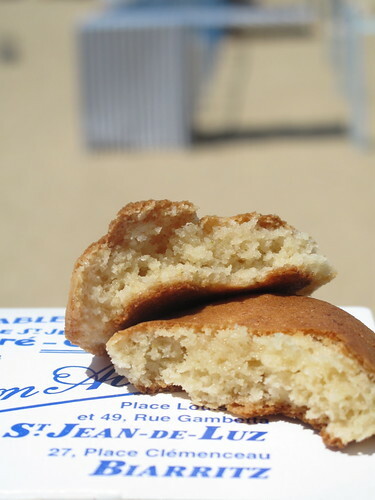 What better reason to move to another part of France than the sweets? Gorgeous photos and I will print this post out! Don’t mean to brag, but just imagine living this experience WITH KugelKerrin, town after gorgeous town… sweet after delicious sweet, watching her shoot photo after spectacular photo. Yeah, that was me (and KugelMom and KugelHubby). What a vacation! Thanks honey. Jamie, just let me know when you move to the Pays Basque and I’ll be your first guest ! =) Such a gorgeous region, and the people are so friendly too. Funny timing on this post for sure. Lots of good luck to JP, can’t wait to hear where you two end up ! Hi! I just discovered your website at a fortuitous time; I happen to have a trip to País Vasco in the works for November! 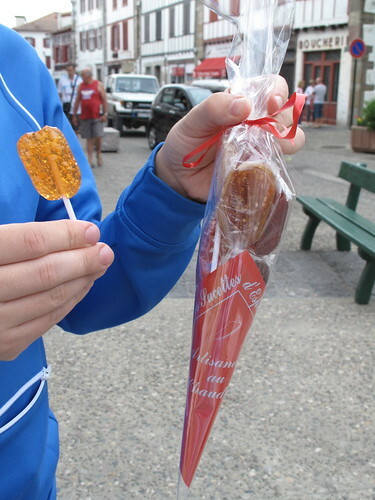 I’ll be headed to Bilbao, but hopefully I can still try some of these luscious treats you highlight here.